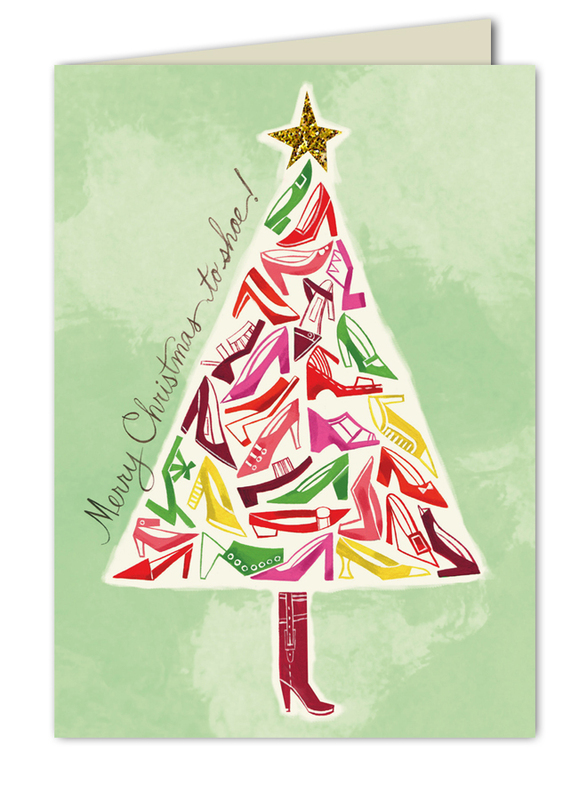 Send stylish greetings with this card from the the Bonnie Marcus Collection featuring a Christmas tree made out of stylish shoes! 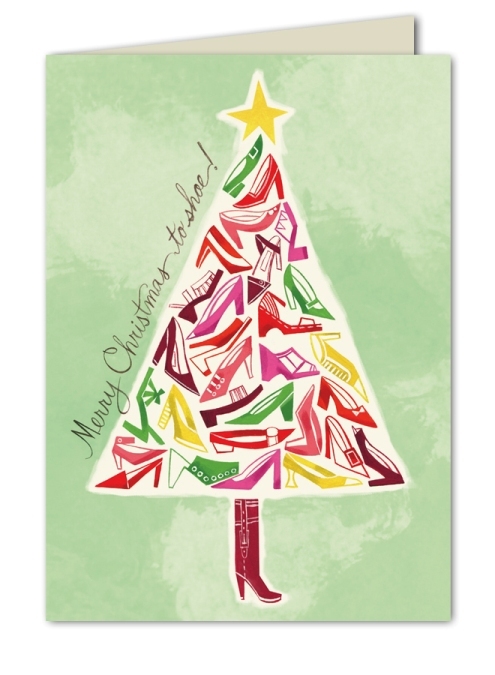 "Merry Christmas to Shoe" is printed along the side of the tree. This holiday card is expertly printed on luxurious warm white heavyweight paper. 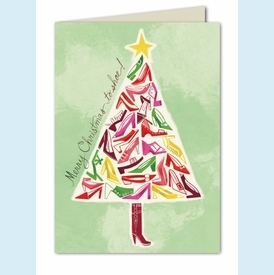 The cards and coordinating envelopes are recycled and FSC certified. A portion of the proceeds from the sale of this product will be donated to breast cancer research and education. Warm white envelopes are included. NOTE: Only 3 boxes left! ▪ Holiday Round Address Labels - many styles! Holiday Round Address Labels - many styles!